The last month went by quickly. 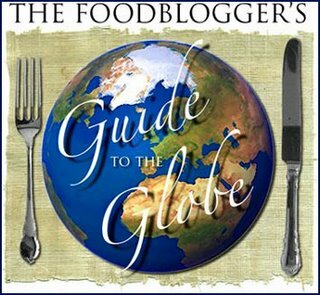 My MIL and I experimented a lot in the kitchen, and I managed to get her hooked to food blogs! She would sit with me each evening and we would browse through a number of blogs. She has also been visiting ahaar to read the comments that her recipes have recieved, and was always overjoyed to see all the positive responses. The month has gone by quickly and she is leaving for India today. 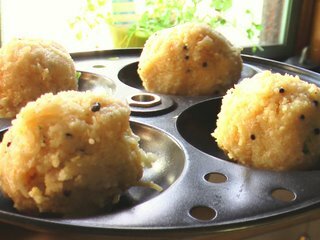 We spent yesterday evening in the kitchen, adding a twist to yet another classic dish - rice dumplings, better known as kozhakattai. We decided to make them with rava and vermicelli instead, and they turned out delicious. This is my first time tasting a kozhakattai, and I can't wait to finish the extras she has left for me! Here is her last recipe for this year; she will be back next summer. 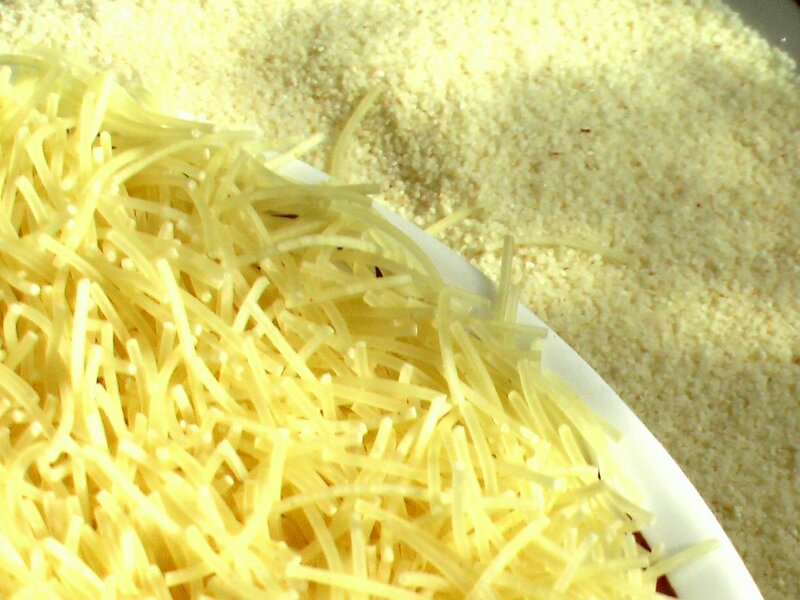 Heat a tspoon of oil and fry the vermicelli till it turns golden brown. In the same pan, add a little oil, and roast the rava till the raw smell is gone. Set these aside. 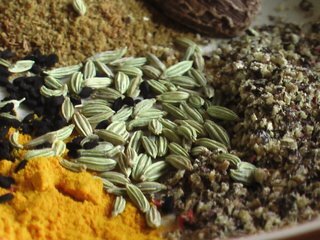 Heat the remaining oil, and temper with mustard seeds, urad dal, curry leaves, ginger, and green chillies. To this, add five cups of water and bring to a boil. 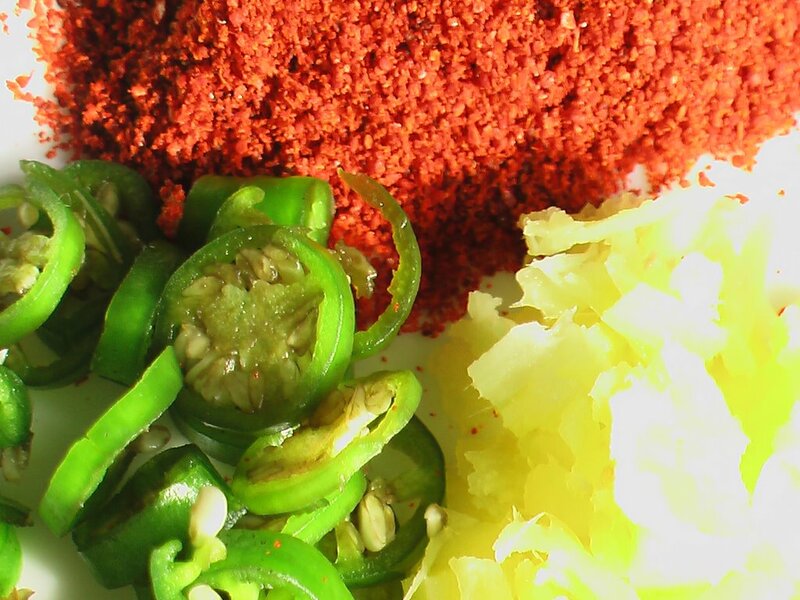 To this mixture, add red chilli powder, a pinch of asafoetida, the grated coconut, and salt and bring to a boil. To this, first add the vermicelli and cook for 1 minute. Next, add the rava and cook for 5 minutes. Cook on low flame until it is dry. Transfer this to a plate, and let it cool. 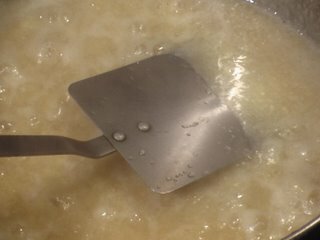 Now make little dumplings out of this, and place on idli plates (if you don't have non-stick plates, you will need a little oil to make sure the dumplings don't stick to the plate). Steam this in a presure cooker (without applying the weight) for 3-4 minutes. 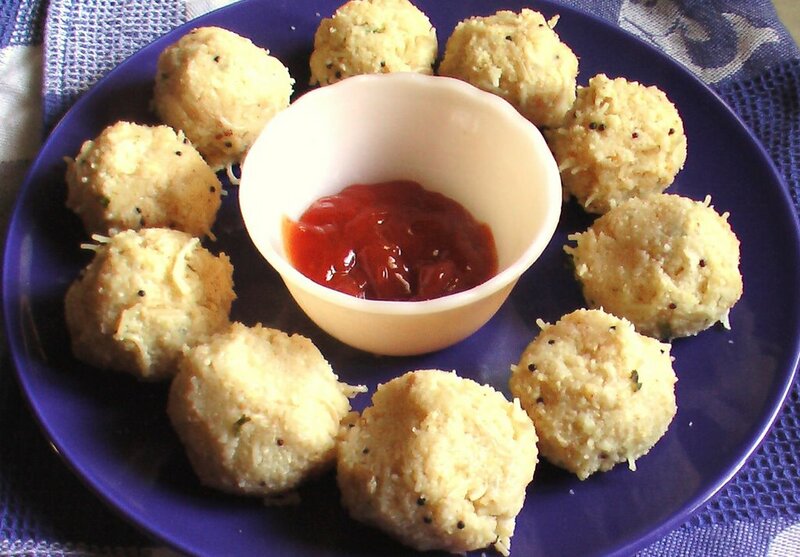 Enjoy the kozhakattais with pickle, mint chutney, or just tomato ketchup! 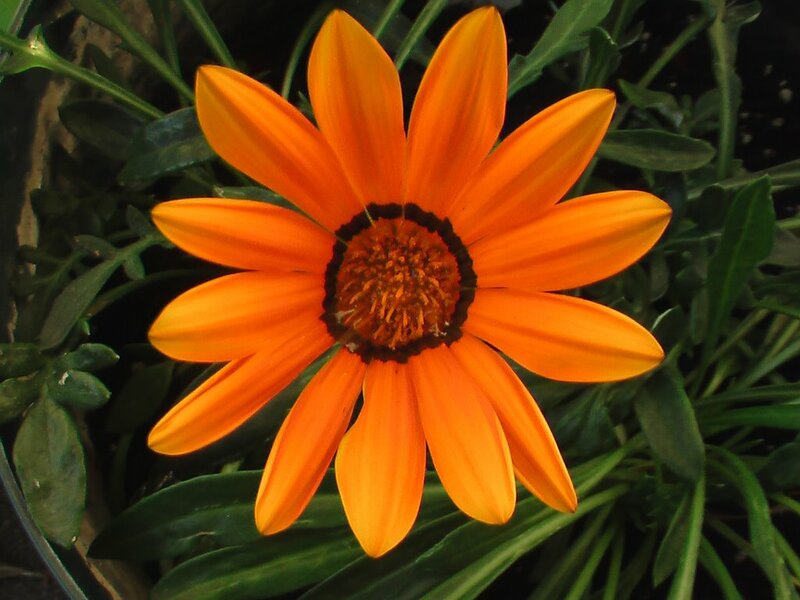 The summer is nearing an end, the days are getting shorter, evenings cooler. Some days are sunny with beautiful sunsets, some days are windy, and some are gray and rainy. The last few days I have been bringing my pots inside the house, hoping they will survive a little longer. 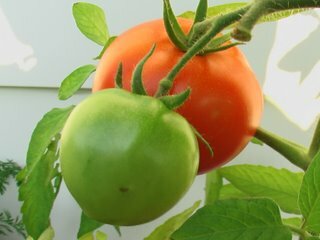 Here are a few pictures from my porch pot garden that we enjoyed this summer. Updated in 2013: I have been making this recipe off and on every since I discovered it. 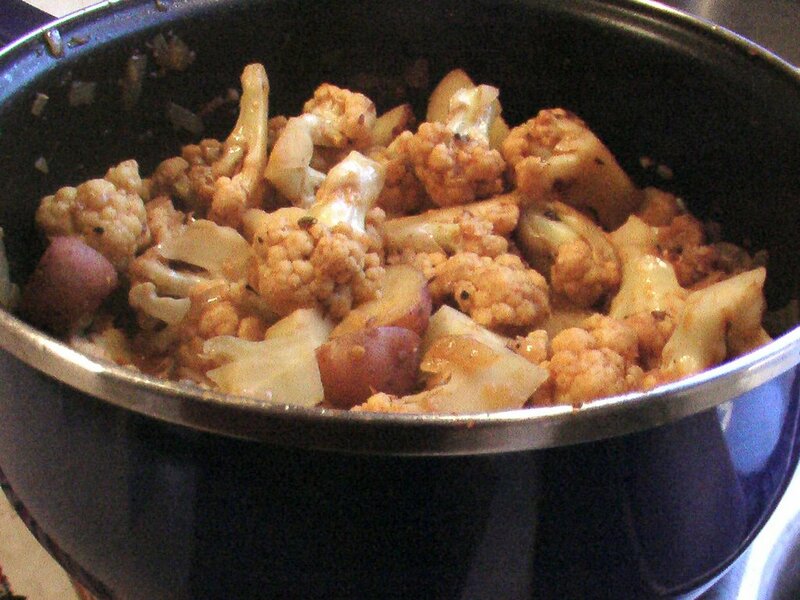 One of the changes I have made to the recipe is sauteing the cauliflower before cooking it. It makes a difference. Below is the original post from 2006. We chanced upon this recipe in a Tamil magazine supplement (Aval) of Vigatan my MIL has brought from India. Using black pepper as one of the main ingredients was interesting to me and I wanted to try it out immediately. The only other recipe I remember with black pepper as main masala is pepper chicken made by my mausi. It was delicious and we couldn't get enough. Every time we visited her, she had to make it for us. 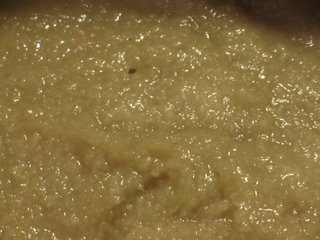 Grind the cinnamon, cardamom, clove, fennel seeds, black pepper, garlic, and ginger to a fine paste. 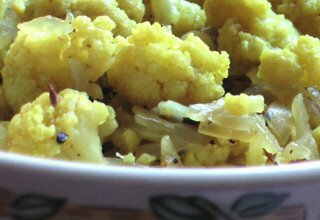 Heat oil in a pan and temper with cumin seeds, kala jeera. Add onion and turmeric and stir it for a couple of minutes. 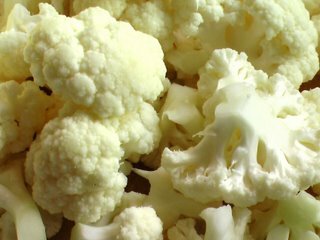 Add cauliflower florets and salt. Sprinkle some water and cook it on low heat (closed lid) for 6-7 minutes till it is half cooked. 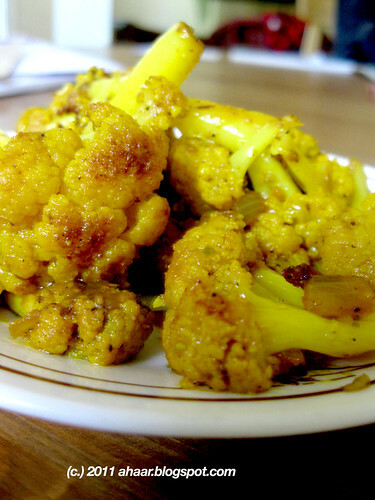 When the cauliflower is half-cooked, add the ground masala paste. Stir well and let it cook for another 6-7 minutes till it is cooked. Add lime juice and take it off the heat. We spent our Saturday in Toronto. After a delicious heavy lunch at Udupi Palace at Gerard Street and a meetha paan at Paan Place we strolled on the street looking at the sarees, bangles, kitchen utensils and film posters. We also noticed quite a few supermarkets and went in to check the dal prices. Along with dal, we bought loads of other things. Vermicelli was one of them. We made bagala bath with the vermicelli and topped it with red grapes, and pomegranate seeds. It was delicious. You can substitute pomegranate and grapes with raisins, cashews or green grapes. Here is how we made it. Heat a wide bottomed pan with 1/2 tspoon oil and lightly roast the vermicelli. Set it aside. 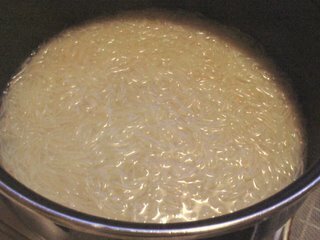 In the same pan, boil 4 cups water and add the vermicelli. Cook for 3-4 minutes till it is cooked (but not overcooked). Strain the vermicelli and run it under cold water. Heat the rest of the oil and temper it with mustard seeds, asafoetida, red chilli, green chilli, urad dal & cumin seeds. Add it to the vermicelli. Add salt, and yogurt. Mix it well. 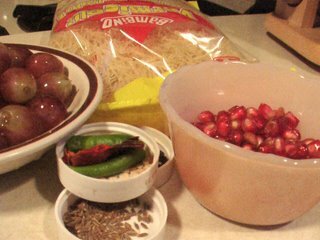 Then add pomegranate seeds, grapes and chopped cilantro leaves and serve. Pumpkin is probably the first sign of Fall. They start appearing at doorsteps, on tables and of course in food. I start looking forward to pumpkin pies, pumpkin soups and of course pumpkin sabzis. What could be a better choice for From My Rasoi being hosted by Meeta at What's for Lunch, Honey! I used the winter squash pumpkin which has orangish-red flesh though I have seen yellow pumpkin in India and am told that white pumpkins are also available. It had a hard skin and I experimented with all kinds of knives in the kitchen for cutting it! Finally I enlisted Aswin's help to cut it open! 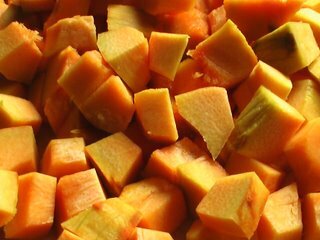 Pumpkins are low calorie food and also have a lot of beta carotene, potassium, magnesium & iron. The seeds are also edible and used for oil. Pumpkins are used for treating kidney and gall bladder problems. More information here. I made the pumpkin sabzi with peanuts and coconut - the perfect mix of crunchy peanuts and sweet pumpkin with creamy coconut. Here is how I made it using my MIL's recipe. Peel the pumpkin and cut it into small pieces. Heat oil in a pan and temper it with mustard seeds, urad dal & red chilli. Add the pumpkin in the pan. After stirring for a couple of minutes, add turmeric powder, chilli powder and salt. Sprinkle some water, mix well and let it cook (closed lid) on low flame for 8-10 minutes. Add coconut, jaggery and peanuts and mix it well with the pumpkin. Let it cook for another minute. Put the curry leaves and take it off the heat. This is my entry for FMR- Pumpkin at What's for Lunch, Honey. 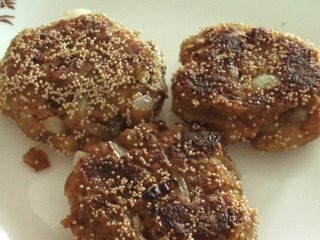 As promised, I am back with the recipe for the Raw Banana cutlets. 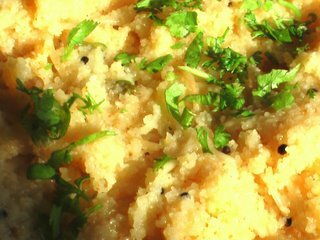 It makes a good side dish with rice and rasam, bisibelebath and also goes well as a snack with tea or coffee. Chop the bananas into 4-5 pieces and boil it. In the meantime, finely chop the onions, green chilli and cilantro. 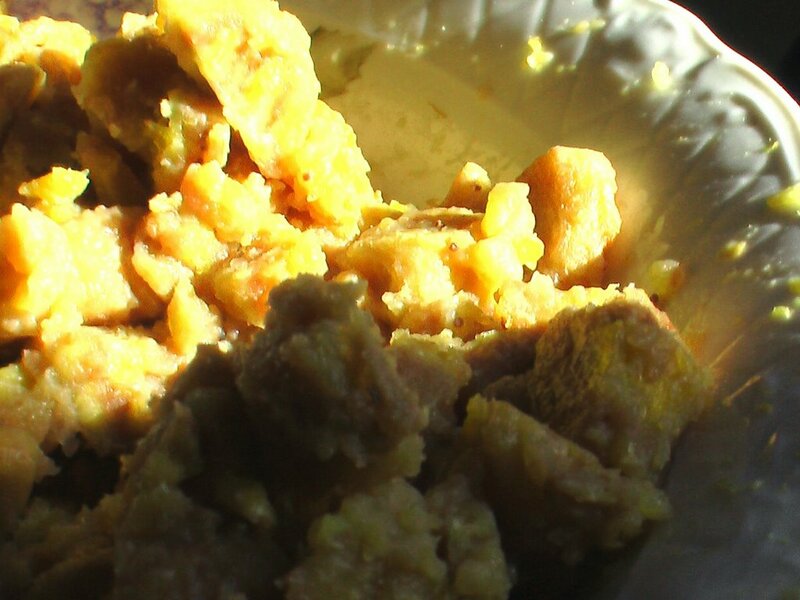 Mash the boiled bananas and mix it with the masalas. Add the onion, green chilli & cilantro. Add the lime juice right before making the cutlets. Divide the dough into small balls and flatten them. Heat a non stick flat pan with oil. Dip the cutlets in posto and place them on the pan. You can also replace posto with rava or breadcrumbs. It gives a nice crispness to the cutlets. I have been sporadic with my posts due to computer problems which have been plaguing me for the last week. Even as I battle it out with my computer, I have been cooking and eating and having fun too! 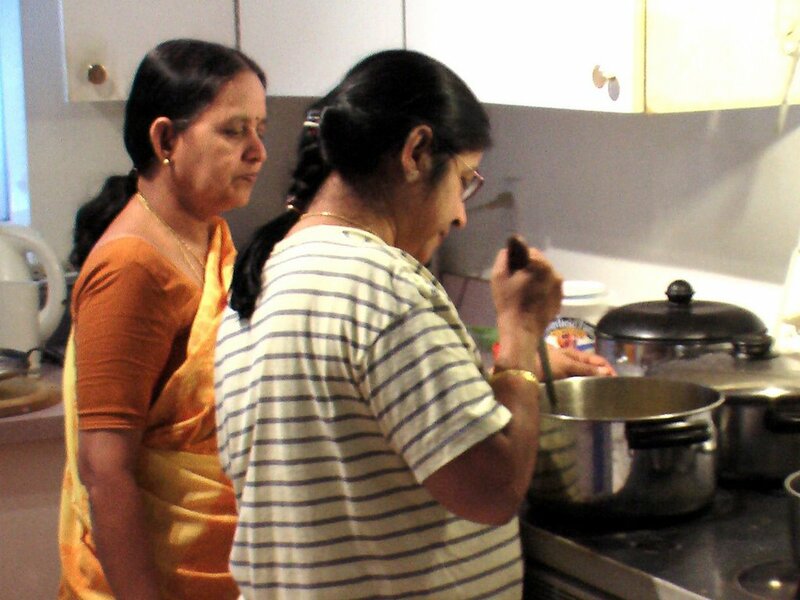 This past weekend, my MIL and I tried out new recipes - Pomegranate Rasam & Raw Banana Cutlets. We got the recipe from a supplement (Aval) of Vikatan, a popular Tamil magazine. The entire issue was devoted to grandma's remedies, and included 12 kinds of rasam. 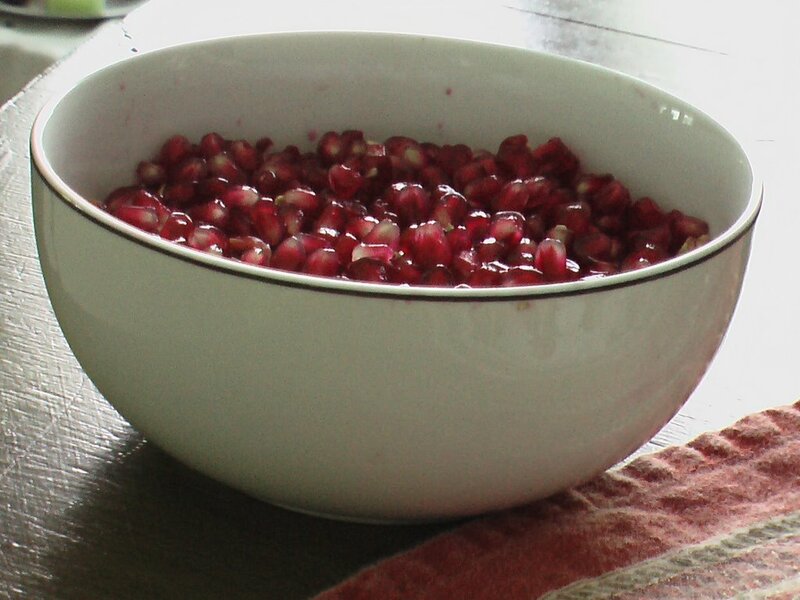 We got the idea for pomegranate rasam when we spotted fresh pomegranate at the grocery store. To go with rasam we made crispy raw banana cutlets - the perfect foil to sweet and sour rasam. Here is the recipe for the rasam. 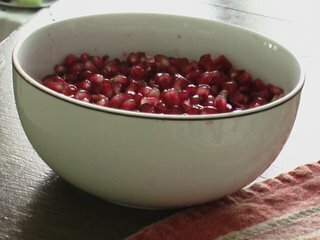 Take out the seeds from the pomegranate. It came to a full bowl. Put it in a food processor and grind it with a little water. Strain it. It comes roughly to a glass or 1 -1/2 cups. Set it aside. 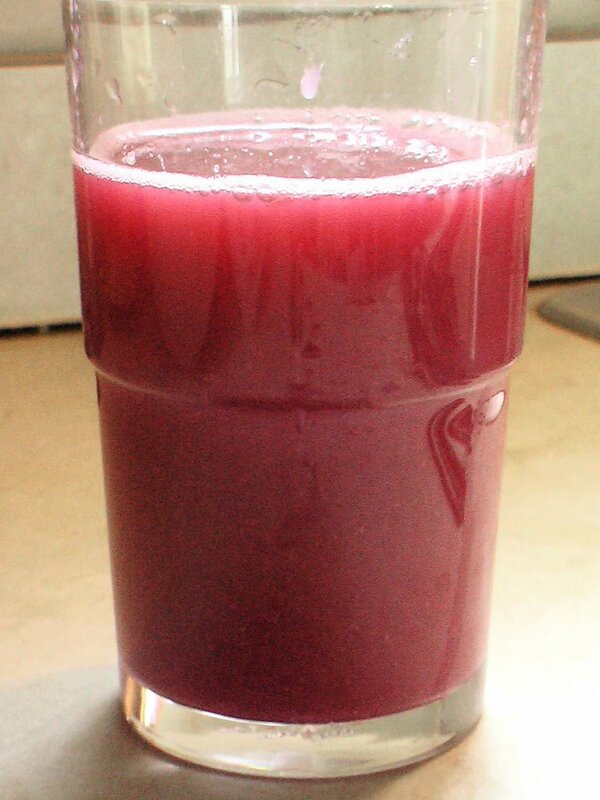 Heat a thick bottomed pot and add the pomegranate juice. When it starts boiling, add the turmeric and rasam powder and boil for 3-4 min. Add the dal, stir well and let it cook for another 3-4 minutes. In a tadka ladle, heat oil and temper with asafoetida, mustard seeds, cumin seeds and curry leaves. 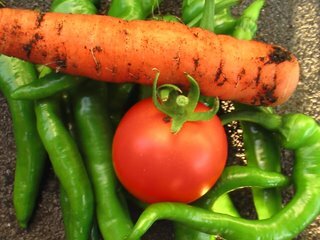 You can also add green chillies. The rasam powder we used was very spicy so we omitted the green chillies. Add the tadka to the rasam and salt. Garnish with finely chopped cilantro. Serve with steamed rice. Stay tuned for the Raw Banana Cutlet recipe! I have been tagged for the the first time (by Tony, thanks! ), and as I was browsing around, thinking about my list, I came across this article in New York Times about diabetes in the Indian context. It caught my attention especially because I remember visiting bakeries for pastries and sweets o n a fairly regular basis. More here. You can also join a discussion going on at Sepia Mutiny about this very article. And now to the meme. This meme started at Traveler's Lunch Box prompted me to think of all the dishes I have enjoyed over the years. So you can imagine my dilemma - coming up with just five is no easy task. I could probably count sveral more things to eat, enjoy and recommend, but here's my five. 1. Bhapa Ilish - This is a delicious Bengali fish recipe, I could eat any time, any place. Every time I go back to India, this is a must have for me. 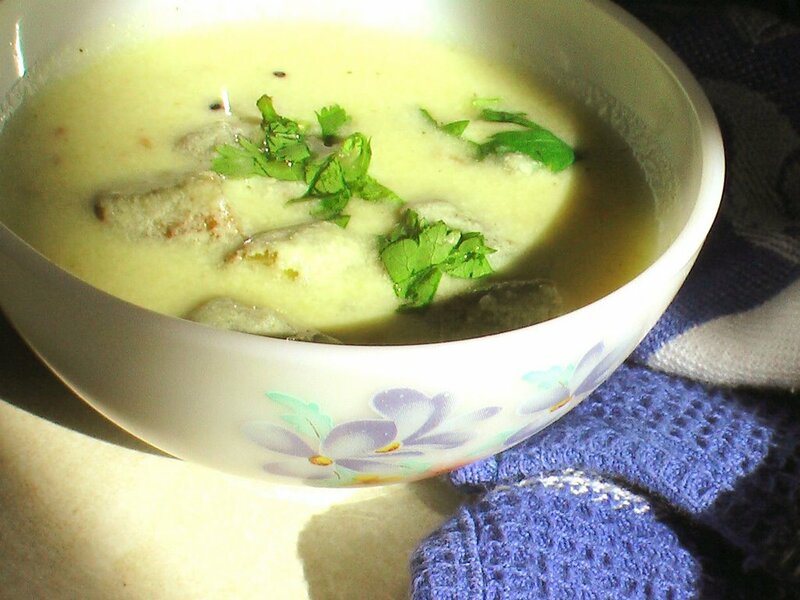 Ilish is steamed in banana leaves with mustard and posto paste and served with rice. 2. Thin crust Pizza at Emma's - Emma's Pizza was five minutes away from Aswin's place in Cambridge, MA and we have spent many evenings eating the thin crust pizza with a variety of toppings with a side of spinach salad. Whether there was snow outside, or the wait was long, nothing could keep us away. We have spent some happy times there and the pizza is crispy, and fragrant with fresh ingredients. 3. Spicy Tuna Roll (Sushi) - As much as I like fish, I have always felt a little uncomfortable about trying sushi. But once I tried the Spicy Tuna roll, I couldn't stop eating it. I will recommend it to any foodie. 4. 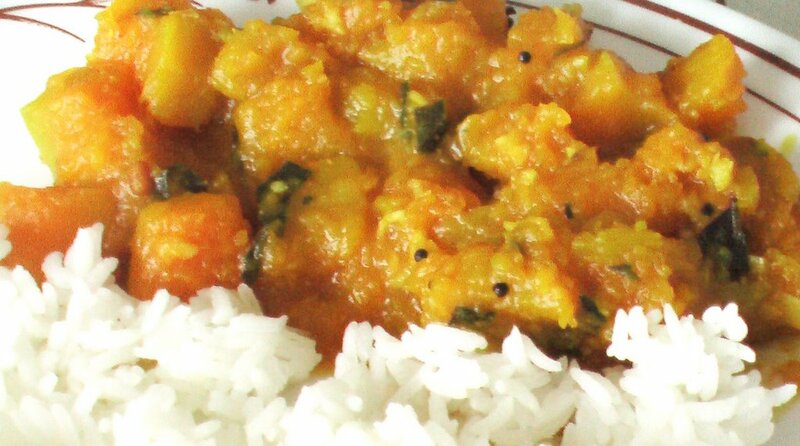 Tomato Rasam and Potato Bhaji - I always overeat whenever we have tomato rasam and potato bhaji. 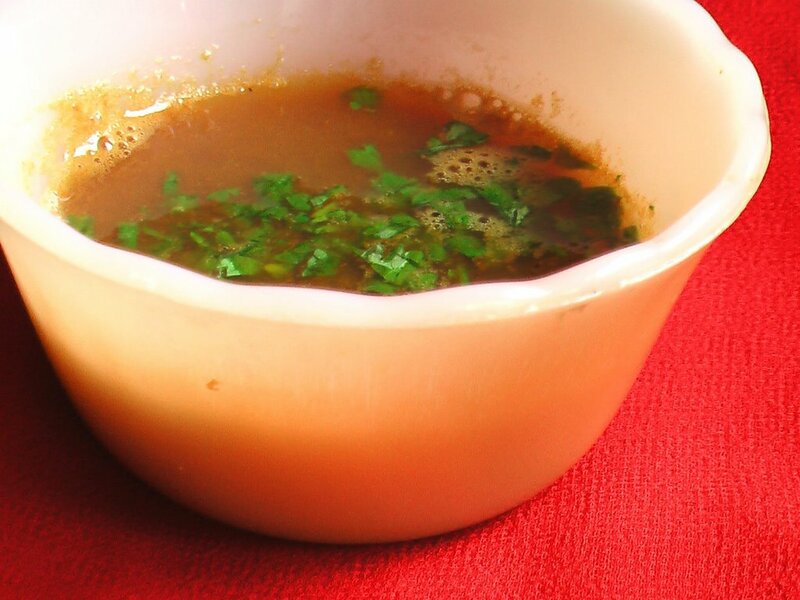 The rasam is spicy and tangy, and the potatoes crispy and light. A must try. 5. Bengali Sweets - It won't be complete without sweets, whether it is rasgulla, rasmalai, darbesh, or labang latika. There are specialities from towns and towns of Bengal. More here. 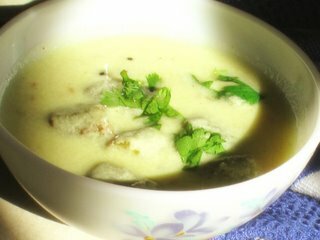 My rasmalai recipe here. I have been trying new recipes with her over the weekend. Yesterday, we made kadi. This had no besan, instead the base is coconut. This is something new for me. 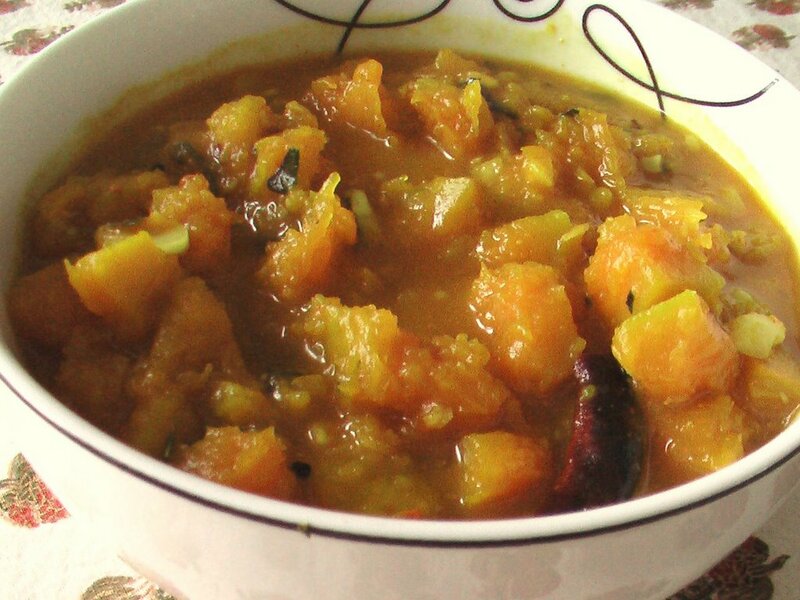 This kadi is traditionally made with white pumpkin. Since we couldn't find it here, we added okra, which tastes just as delicious. Here is her recipe. 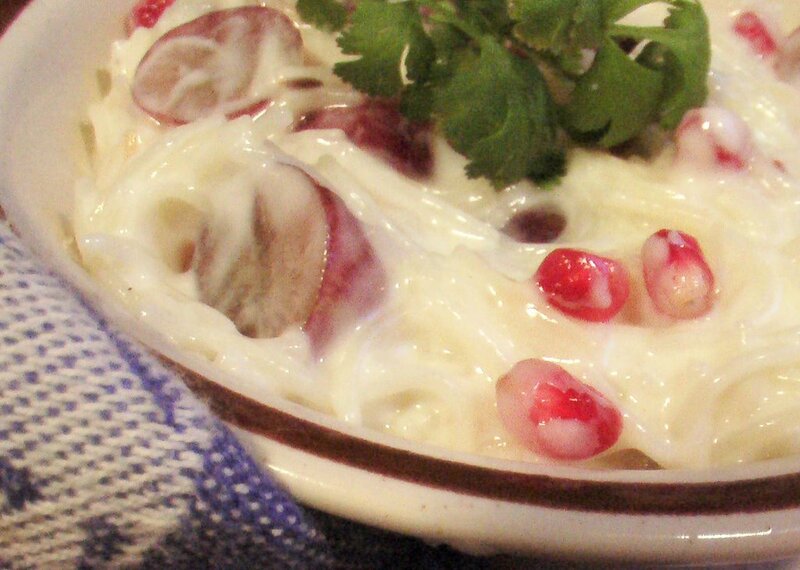 Whisk the yogurt and set aside. It tastes best if the yogurt is a little sour. Soak the chana dal in warm water for about 10- 15 min. Wash the okra and chop it into 1 inch pieces. Grind the coconut, green chilli, ginger, cumin seeds and chana dal together till it becomes a fine paste. 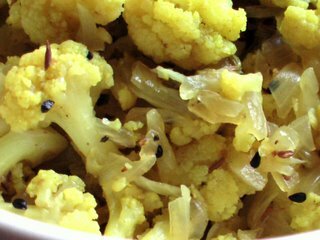 Heat a wide bottomed pan and temper the oil with mustard seeds, asafoetida, curry leaves. Add the okra and cook till it becomes tender. 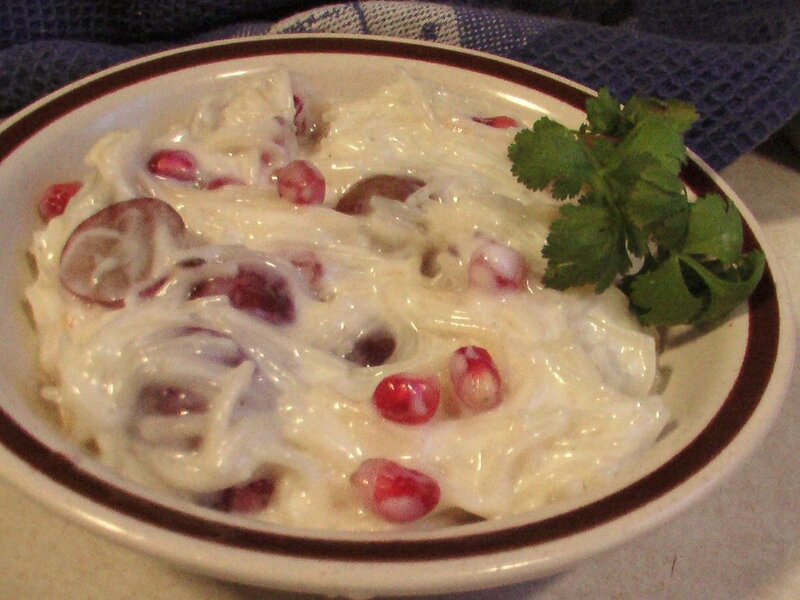 Mix the yogurt with the cocunut paste. Then add it to the pan and cook on low heat. Add turmeric and salt and cook for 10 minutes till the kadi boils over, much like milk does. Garnish with cilantro and serve with rice or pongal or upma. Bend it Like Beckham made aloo gobi into a star along with Parminder Nagra. If you saw the special features in the DVD, like I did, you probably saw Gurinder Chadha cooking aloo gobi with her mother. This is the recipe from my mother. It's a simple dish which can be made into a curry or a dry subzi. 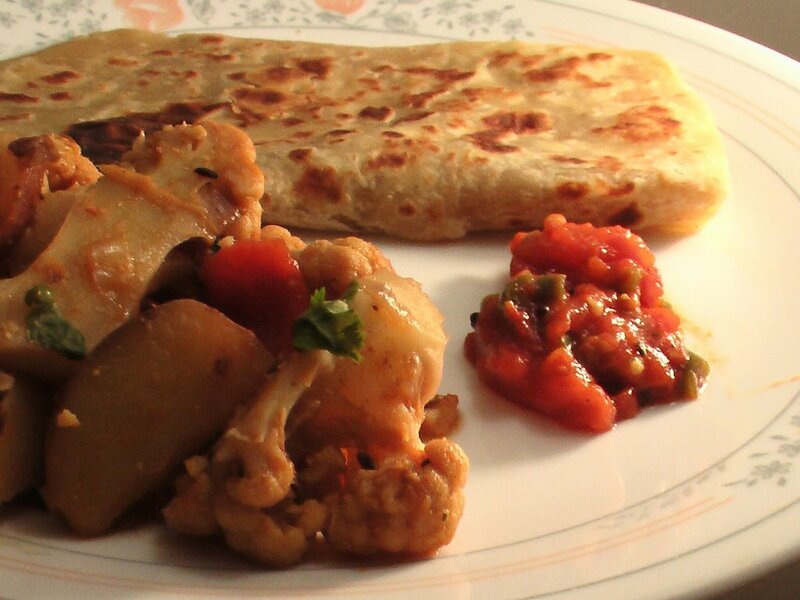 Parathas, aloo gobi and tomato chutney was our simple midweek dinner. 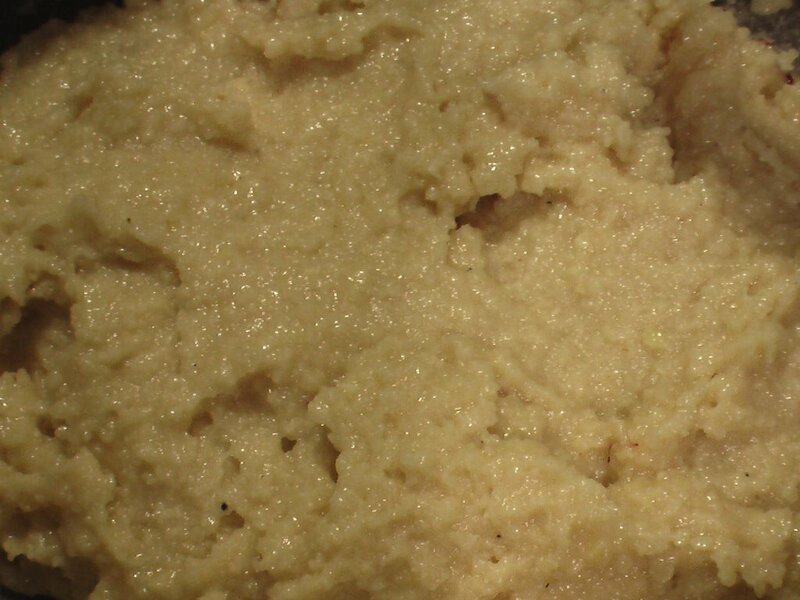 Heat 1 tspoon oil in a pan and shallow fry the cauliflower and potato so that the raw smell goes away. Set it aside on a kitchen towel to absord the excess oil. Heat the rest of the oil and temper with cumin seeds, red chillis and bay leaf. Add the onions and saute for a few minutes till it starts turning brown. Add the tomatoes and cook on closed lid till it turns soft. Put in the cauliflower and the potatoes. Mix all the masalas with a little bit of water and add it to the vegetables. Add salt and water and cook on medium low heat for 15-16 minutes. Stir only once in 5-6 minutes to avoid breaking the cauliflower pieces. Garnish with cilantro and serve with roti, parathas or rice. Ratatouille: a foodie who just happens to be a rat! For all the foodies out there, here's a movie to watch out for next summer. From the director of 'The Incredibles,' which I enjoyed, comes a film about a rat who enjoys good food, and is willing to put his life on the line to get his hands on the stuff that the best French kitchens have to offer! The last few days whizzed by. We had family over and then we all traveled to Montreal to visit relatives. Like any other gathering, we cooked, talked, ate and then cooked some more. 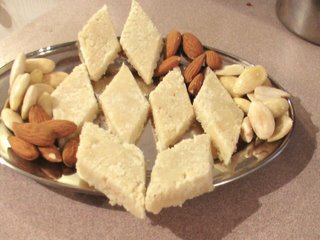 Among other things, I had some wonderful almond barfi. The ingredients for this are just almonds, sugar and one tspoon of ghee. It is cooked on low heat and it all binds together with the natural oil of the almonds and milk. Here's my aunt's recipe. 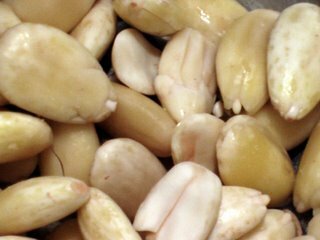 Soak the almonds, remove skin and dry the almonds. Then grind coarsely. Heat a thick bottomed pan and pour the milk. Once it starts boiling add the sugar and the almond mixture. Add the cardamom powder and saffron. Cook on low heat with constant stirring for 25-30 minutes. 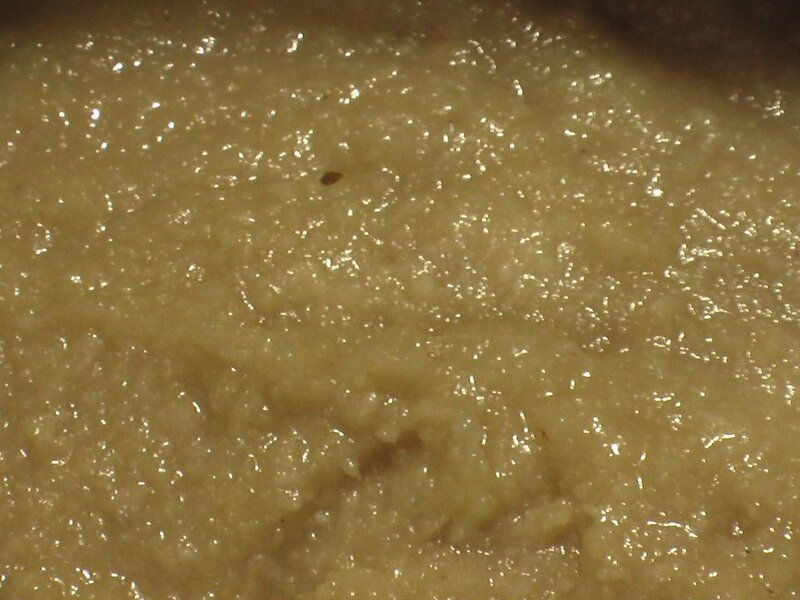 Wait until the mixture separates from the vessel and the consistency is like wet dough. Take it off the heat before it becomes too dry. Spread 1 tspoon ghee on a sheet of aluminium foil and roll the mixture flat using a rolling pin. Cut it into shapes of your choice and let it cool. This is my entry to JFI-Milk, hosted by Vineela.